The 301rd Infantry Battalion of the Presidential Council announced the redeployment of its forces in areas south of Tripoli, The battalion said in a statement Tuesday. 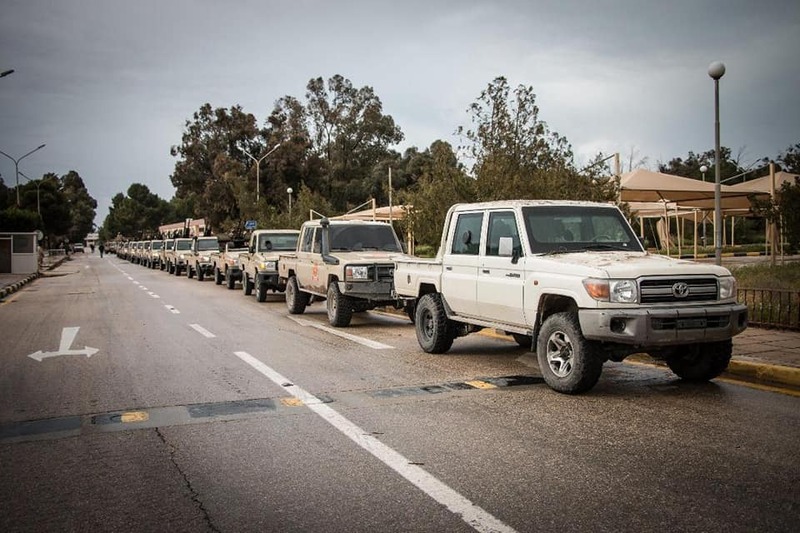 "This step comes in implementation of the security arrangements on securing the capital Tripoli," the battalion stated Tuesday, explaining that the move came after receiving superior orders with the aim of imposing security and stability in the areas and locations assigned to them. It also affirmed its full readiness to support and assist all legitimate security and military apparatus in their positions, pledging to do its utmost to impose security and stability on the ground. It added that it will hit with an iron fist any attempts to undermine security in Tripoli by either terrorists or military coup plotters.